We're already a month into the new year—how does everybody feel? It honestly hasn't felt like the freshest of starts for me. The midwestern sunless winter is taking its toll, I believe, and I've generally felt unmotivated and unproductive these last four weeks. Editing/writing for so many hours each day for work leaves me with little energy left to work on personal projects in the evenings. I've normally excelled at putting sustained effort towards long-term rewards, but lately I'm just not finding it in me. I'm definitely overestimating what I can do in the short term, which is causing me to doubt what I can do longterm. 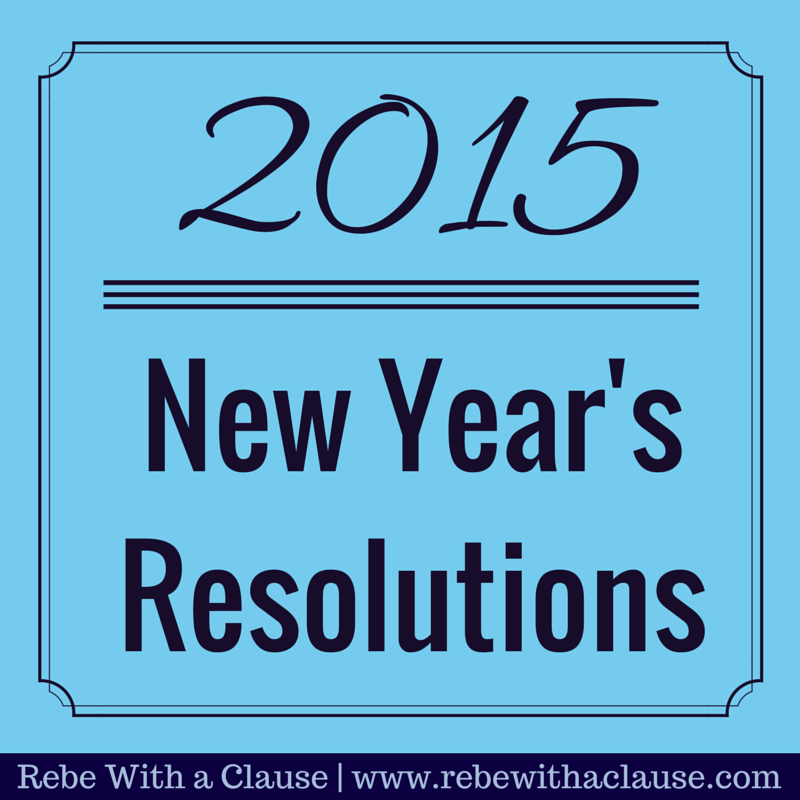 But I still managed to make a bit of progress towards each of my three 2015 resolutions, so let's take a look at that! Started sending voice chats via Whatsapp to Gregorio, and messaging via Whatsapp/emailing with a Parisian in French. In Korea, the messaging app that almost everyone uses is Kakao Talk (In Europe, it's Whatsapp). Today I saw a new microphone icon at the bottom of Kakao in a chat with one of my old fifth grade students. Curious to see if Kakao had added the feature that Whatsapp has, I tapped the icon and sure enough—you can send voice clips! So I sent a short voice clip to this student, and we've been sending some back and forth. It's so great to hear her voice! Inspired by the positive experience, I decided to try contacting my old student from Madrid, to whom I gave private lessons twice a week. I forgot that she didn't have my new phone number, which is why she'd been unable to contact me on Whatsapp these past few months. We chatted a bit, and then I sent a voice clip, and she sent several back! I haven't heard this girl's voice in almost three years, so it was wonderful! Although she's nearly 10 years younger than me, I really had fun "hanging out" back when I gave her private lessons, and had just as much fun catching up on Whatsapp. Today I'm thankful to be in contact with these two prior students, and that technology makes it easy to hear each other's voices! As I mentioned last Thursday, I just spent a week hanging out with friends in Washington, DC. The visit was sort of last-minute, I bought the plane ticket at the very end of December and headed there just over a week later. I met the friend I stayed with, Mike, in my Madrid study abroad program, and hadn't seen him in nearly two years—but we haven't lost touch. He's the type of person it's hard to lose touch with, only because even with months and months of no contact, the next time you talk it feels completely normal. Another friend from study abroad, Steph, also lives in DC, and I hadn't seen her since 2011! I got to spend lots of time with her too, which was a complete treasure. I was approached by Andrew Hallam this past fall with the opportunity to receive a copy of his new book, "The Global Expatriate's Guide to Investing: From Millionaire Teacher to Millionaire Expat" in exchange for a brief review on my blog. Since I knew close to zip about investing—other than the initial research I'd done when opening my Roth IRA—and knowing I'll definitely be an expat again at some point, I was all in! I'll start with a bit about the author, just so you know who's behind this book. Happy New Year everyone! I make resolutions on my personal blog every year (creating this blog was actually one of them from 2014! ), so it's only logical that I make health-specific resolutions here. So I'm just going to jump right into it below; John will be posting his resolutions on Tuesday. Eat a whole foods, plant-based diet. I want to continue adding more whole foods to my diet, eating mostly plants, and cutting out the processed things that I still eat. This won't happen over night, but rather slow, gradual progression is the way to go for me when it comes to diet changes. In order to make this goal more concrete and measurable, I'm resolving to either cut out one processed food or add one new whole food to my diet every month. Exercise at least 3x a week; gain muscle. If you recall, even my Korean traditional medicine doctor said I needed to gain muscle when I had my Eastern medicine experience last summer. So this past fall, I was taking three classes a week: two days of Pilates and one of Zumba. That session of classes ended mid-December, but I've signed up for two fitness classes this session: "Shape" and Pilates. So then it'll be up to me to work out at least one other day a week in order to get the third time in (though more is obviously welcome). Post once a week on Have Your Health. Since it will keep my focus and help me progress, plus something I learn could hopefully help someone else, I'll continue to post here weekly on Thursdays during 2015. Read one book or watch one documentary a month, and share what I learn/gain. Reading all of the health-related books I read last year really helped keep whole foods on my mind, and changed my thoughts about food. To keep this up, I need to constantly be reminded of these things, and the best way for me has been by reading a book or watching a documentary. And then I'll have more to write about here! Win-win. This last one should be at the top if I were ordering by importance. It's currently vague, though, because I don't know what I should try next or what will work, but I need to keep trying. It's a bit disheartening that despite all my knowledge and diet changes, I can't tell a difference from a year ago, but I can't let that negativity impede my efforts. I've had a new problem with the BMs surface three times in the past month, something not good (hint: red!) that I had once a year and a half ago, but I'm hoping it'll just go away on its own, and that there's no serious cause. And on that happy note, what are your health resolutions for 2015? Any suggestions on how to reach mine? A new year calls for a new Thankful Thursday logo, eh? During 2014 I moved past adding text to photos with Preview, all the way to the wonderful world of free design creation with Canva. What do you think? Yesterday I went up to Wausau, WI with my dad and sister for our lovely New Year's tradition of spending time with our northern relatives. I obviously wasn't there last winter (I was in Korea), so I was extra excited to see these folks. It was a smaller group than usual, but I still got to see several of my dad's cousins, aunts, and uncles throughout the 24-hours we were there. 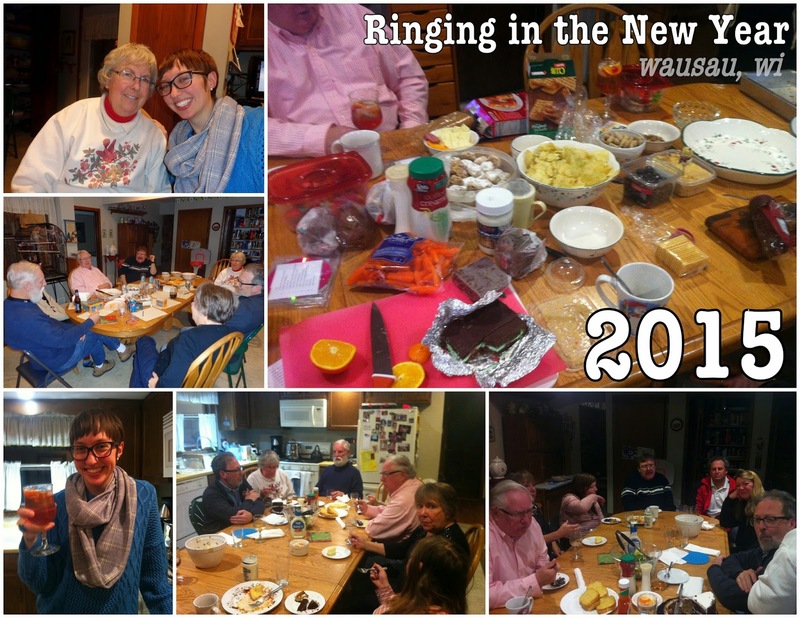 We sat around the huge kitchen table talking and snacking all afternoon, cleared the table to eat dinner, and then remained at that table through the start of 2015! Normally we move into the living room for games, but we got in some great Taboo, Mad Gab, and Pictionary right there in the kitchen. My grandma comes from a family of six children, so it's fun to hear her siblings' tales, and to view my grandma as a sister instead of solely a grandma and mother. It's just a sliver of exposure to the past, but I enjoy imagining what daily life was like growing up in their generation, and how these people came to be who they are today. My dad spent at least one summer—if not multiple—up in Wausau when he was younger, working for his uncle, so he has extra close ties with these relatives. It's nice to have that connection through him, but I'd like to get up there a few more times this year to keep building one on my own. And I must, must be in the states at the end of July, because another one of my dad's cousins is getting married—just like summer 2013! I'm so thankful we made the trip, and that I got to ring in the new year with this awesome family. Let's start off 2015 on a positive note—what are you thankful for today? How did you spend your New Year's Eve?